12" Stroke Hypneumat Servo Tapper | Hypneumat, Inc. 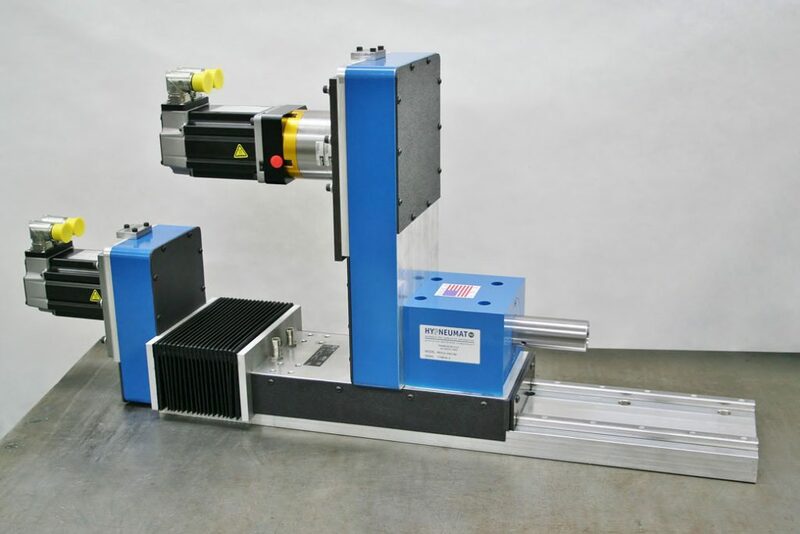 The Hypneumat FX312 Ball Screw Rail Unit shown has 12” of stroke, is equipped with a 1-1/16” straight bore spindle and has servo motors for the linear feed and spindle. This allows for programmable synchronous control between the axial feed and spindle speed. This unit can be programmed to drill, tap, ream, bore, mill etc... Hypneumat offers this unit with 4", 6", 8" and 12" stroke lengths.